Rancho Santa Margarita homes are located in some of the most attractive and affluent master-planned communities in all of California. As a relatively young city, this whole area has been designed with modern concepts of beautiful landscaping and architecture. The city is continuing to grow sustainably, attracting home owners from across the globe to the wealthy, well-planned area. The majority of residents in the region are younger families, and the median family income level is nearly twice the state average. Real estate in Rancho Santa Margarita is primarily composed of single-family homes and townhouses, with a number of great condo options as well. These houses range in price from affordable dwellings to higher-end homes. Rancho Santa Margarita houses are a great place to find spacious floor plans, multiple bedrooms and bathrooms and gorgeous architecture. Popular design trends in the area follow modern styles with features like granite countertops, full appliances and hardwood floors. In addition to regular buying and selling opportunities, Rancho Santa Margarita is a great place to find quality short sale homes. The Hakolas Group specializes in distressed properties and can assist both buyers and sellers. Contact us now to learn more. With 18 private and public schools and 7 nearby colleges and universities, Rancho Santa Margarita residents have the opportunity to achieve achieve a high education level and become successful professionals. 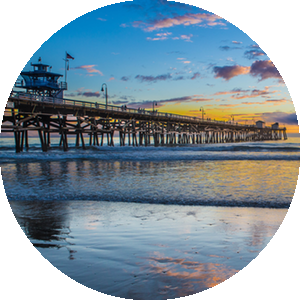 Day trips are one of the best parts of owning real estate in Ranch Santa Margarita, providing the opportunity to visit an interesting variety of local destinations. 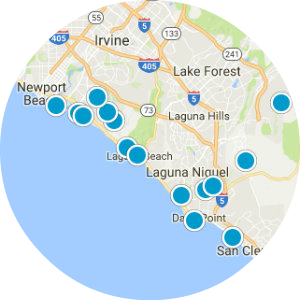 Laguna Beach and Dana Point are a quick half an hour from the center of the city, with world class opportunities to surf, swim and boat. A number of great nearby parks, including Caspers Regional Park and Limestone Canyon Park, are only a short distance from the city, allowing residents to bike, hike, and watch wilderness close to home. Rancho Santa Margarita is also home to Tijeras Creek Golf Club, an 18-hole award winning golf course that attracts players from across the country. If you're interested in Rancho Santa Margarita real estate and homes for sale, you may also want to look at Coto de Caza, Lake Forest and Mission Viejo nearby. Contact us online or call our office at 877-442-5652 to learn more about any of these great communities.